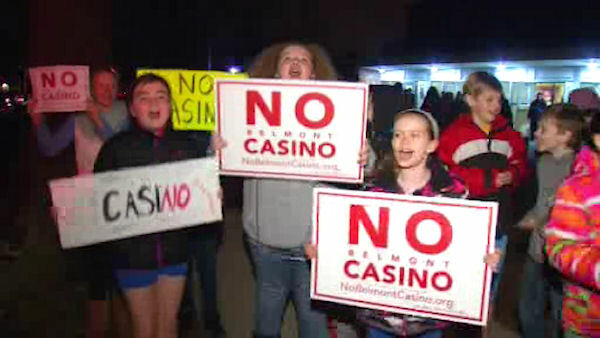 BELMONT, Long Island (WABC) -- A protest was held on Long Island Tuesday night over plans to bring a casino to the Belmont Park Racetrack. Residents in neighboring communities came together to rally against the plan. The Nassau Regional Off-Track Betting Corp. wants to install 1,000 video lottery machines at Belmont. Opponents say a casino would lead to a surge in traffic and crime in the area. Floral Park's mayor plans to sue to try to stop the project.